APELDOORN, the Netherlands – Sparta characterizes itself as a brand focused on innovation. 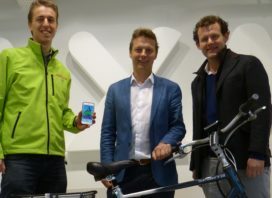 Proof of that is evidenced by it being the first Dutch brand to deliver a ‘connected’ bike, thanks to an intensive collaboration with AXA Bike Security. 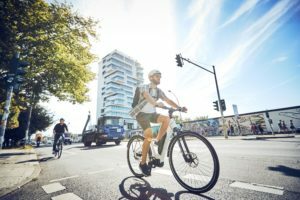 The new Sparta e-bike M8i Connected features an Internet connection, with which the bike ‘communicates’ with the outside world. The company says this equals more ease of use, and is a ‘weapon’ against theft. 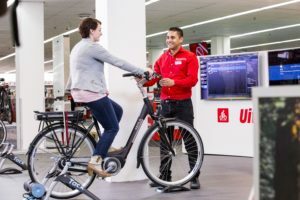 Connectivity has been a burgeoning trend with e-bikes for some time, and at international shows several connected bikes have been seen before. 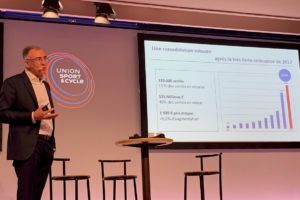 Bart Visser from Conneqtech, the company that helped develop the communication technology of AXA Track&Trace, explains why this is happening just now. Sparta and Conneqtech partnered to develop the software to allow the Track&Trace system to communicate by means of the Internet. 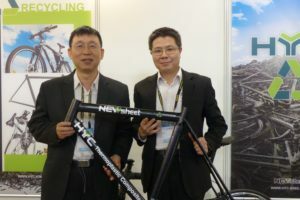 The partnership built its so-called ecosystem around the bicycle. This complete system contains the technology, communication and security software, the app and so forth. Apart from the anti-theft aspect the Sparta app has more to offer. 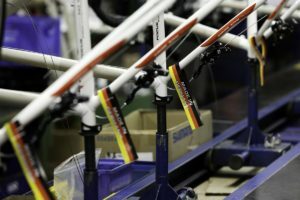 For example, it provides the bicycle supplier with a direct means of communication with the cyclist. Sparta’s Assortment Manager Chiel Prein is closely involved in developing the Sparta app. Prein indicates that the app currently has a number of functionalities, which can be extended in the future. Such as for commuting purposes. This could be of use for one’s employer, to determine the travel reimbursement based on mileage. With the app it is also possible to report directly to one’s insurer that the bike has gone missing. To file a report through th app with the police is the next logical step. Bicycles of family members can be added so, for example, a parent can check whether their child has arrived at school. A communication grid like this (see where your friend is biking) has the interest of the young. Furthermore the app indicates when to charge the battery, or when to bring in the bike at the dealer for maintenance.